In order to keep your data secure, your order data is collected on a secure server with GLOBECHARGE. 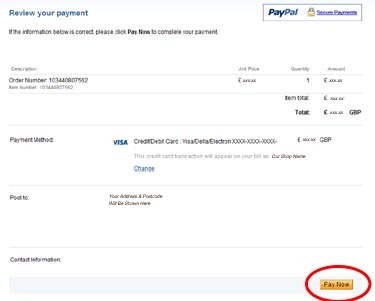 To finalise your transaction and make payment, we will collect your payment throught PAYPAL. 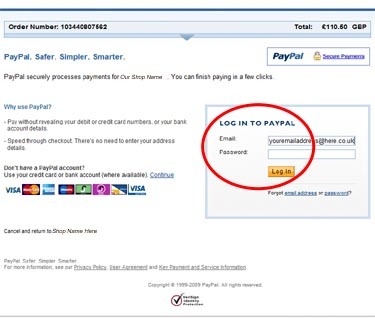 You DO NOT need to have a PAYPAL ACCOUNT in order to pay, you can simply use your credit / debit card. 1. A new pop up window will appear. This connects you to PAYPALS Secure Server. 2. 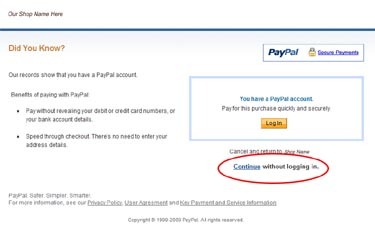 If you wish to pay using your existing PAYPAL Account, click "Log In" and conclude your payment through PAYPAL. 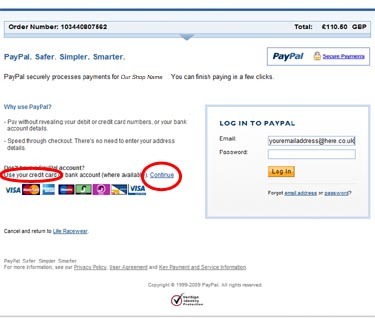 You can use your own Credit or Debit Card to pay - whether you have a Paypal account or not. 1. 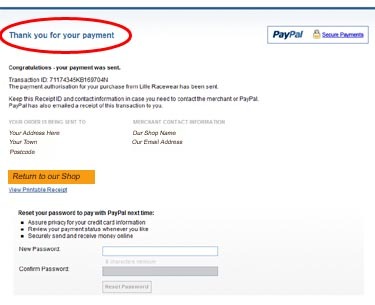 If you want to pay directly with your card simply Click on "Continue"
If you don't want to pay through your Paypal account and just want to use your card simply click on "Continue Without Logging In"
Your order will now be processed. You will receive 2 confirmation emails, one to confirm the details of your order the other from Paypal to confirm that you have paid. Website Design and eCommerce SolutionsD57. eCommerce solutions.